Why’s the Dad on the Floor? …..the next thing I remember is hearing an emergency room nurse asking “Why’s the dad on the floor?”. This is my story of the craziest, scariest, faith-testing 48 hours of my life. This is the story that I pray other dads don’t have to tell from personal experience. This is an opportunity for me to share with you the signs, the GLARING signs that your kiddo may be giving you that they’re a Type 1 Diabetic – before something tragic happens. This is very personal, however I’m compelled to create awareness among my friends, family and colleagues. After hearing the nurse asking why I was on the floor I quickly came back to my senses, realizing I was lying on the floor next to my son’s emergency room bed. It was at that moment that his life flashed in front of me and all those memories, from his birth to soccer games, from riding his bike for the first time to his first day of school, from shooting his first shotgun to mastering the green runs on his snowboard for the first time, all those memories shot through my mind at Mach speed and I realized that this is for real. I realized in that moment just how dire my son’s condition was and I realized just how powerless his dad was. In that moment there was absolutely nothing I could do except sit beside him, hold his hand, and pray to God. Let’s rewind and push the hands on the clock back 72 hours. The signs are there. 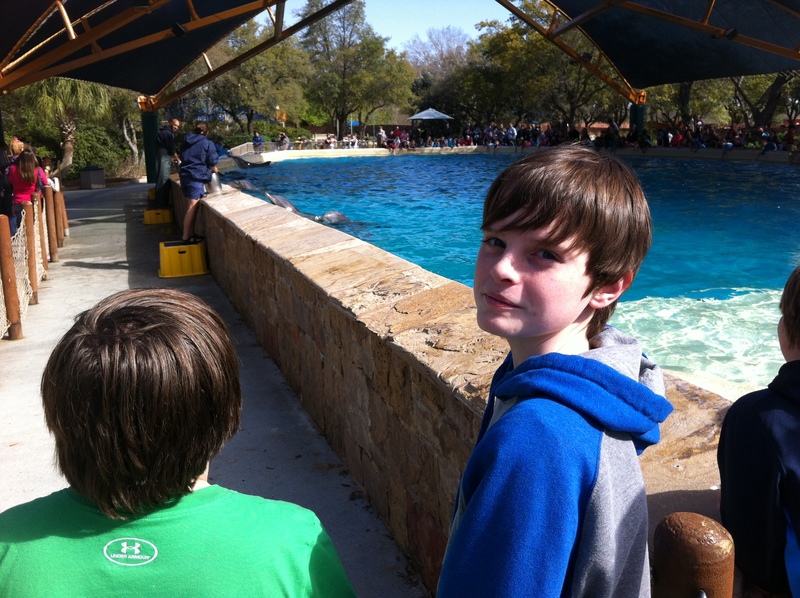 My family and I are enjoying a nice, warm, spring day at Sea World in San Antonio. We had to arrive as soon as the gates opened so my little girl could play with and feed the dolphins – something she’s been begging to do for years. My son is, for the most part, acting normal however he’s drinking like a fish constantly hitting water fountains or asking to buy a drink. His lips are pale, chapped and he looks a little on the ghostly pale side himself. However, my mind tells me we’re coming out of winter; he hasn’t been outside much at all in the last several months, so there’s nothing too alarming. Thursday, March 13th 3:08pm – Signs? He participates with the family feeding the dolphins, joking around, enjoying the first two shows, eating a normal lunch and demolishing a bag of cotton candy. As the day draws on he complains of stomach pains and, looking back at the pictures, began to form small, faint circles under his eyes. My mind tells me his stomach pains are a result of the cotton candy he plowed through, a soda, dippin dots, cheeseburger and fries – who’s stomach wouldn’t hurt, right? The signs are there. Friday, March 14th 11:55am – Snow Cone Anyone? Friday seems to be a normal day. 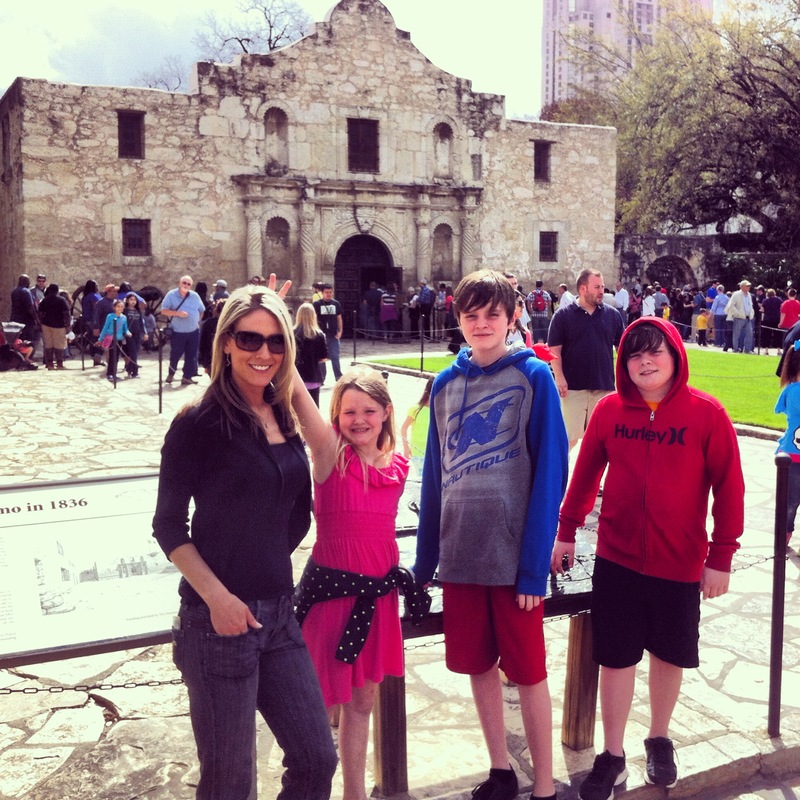 My family and I head out of our hotel room early for a day of exploring the San Antonio Riverwalk. My son’s being his typical, twelve year old self annoying his sister, laughing, playing along and no longer complaining of stomach pains. 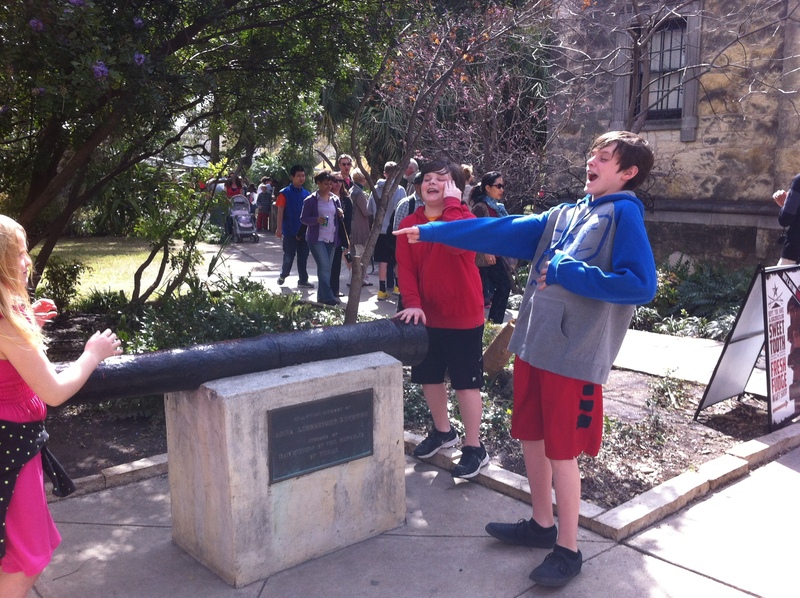 We tour the Alamo (remember that? ), grab a snow cone, and take refuge on a concrete retaining wall under a tree where I’m sure hundreds of courageous men lost their lives 178 years ago defending the great Lone Star State. My sugar-craving, carb-monster twelve year old did not finish his snow cone, not even half of it, mentioning his stomach hurt a little – THAT is a first. The signs are there. After spending a small fortune for a family of five at the Hard Rock on the Riverwalk we traded our shorts and walking shoes for swim trunks and flip flops and hit the roof top pool above our room at the Wyndham. My son was back at it again, playing, laughing, and, of course, annoying his seven year old sister. Normal. We spent the remainder of the evening in our hotel room taking in a movie then winding down with some Tosh.0 – by the way, I would not recommend that TV show for children under the age of ANY age. My son was very quiet, not moving from the spot he’d been laying in for hours. My mind says he’s just relaxing and probably tired from two days of walking around town in the sun. The signs are there. Saturday, March 15th 8:15am – Starbucks? No thanks Dad? The plan was for me and my twelve year old to scoot out early and grab a cup of Starbucks together – something I enjoy doing with him as it gives me an opportunity to tune the world out and just be present with him. I nudge him while he’s sleeping and, in an attempt to not awaken my other little people, whisper that it time for Starbucks with dad. Much to my shocking surprise he turns down Starbucks complaining of stomach pains and feeling like he’s going to throw up. Wow, skipping Starbucks, is he kidding me?? ?….now that is definitely a first! Six hours on Interstate 35 in Texas is never fun. Especially when the drive normally takes four hours. Especially when your twelve year son throws up five times. I felt terrible for him – how miserable he must have been. He threw up in the hotel room before we set foot in the car and, it just went downhill from there. My wife and I thought it may have been food poisoning, a stomach bug, or perhaps the flu. In fact, at one point we pulled into a grocery store and she loaded up on flu preventative meds. He was unable to keep anything down – from small bites of food to Gatorade or even water. It all came back up. We arrived home at 5:15pm and my son went straight from the car to the couch where he laid the remainder of the evening. The downward spiral continues throughout the night and into the morning hours on Sunday. My son continued vomiting another four or five times from 11:00pm to 5:30am with me cleaning out the little trash can each time as I lay next to him on the couch. I remember telling my wife that if this continues, that if he cannot hold anything down for breakfast, then I’d take him to urgent care or a doc-in-the-box for flu-like or stomach bug symptoms. Then, I hear sounds coming from him that I’ll never forget. My son, who is now ghost-white, begins making these moaning, whaling, painful sounds. He’s holding his chest then his stomach then his sides, telling me he hurts all over. Something’s very wrong! This can’t be the flu. This is NOT a stomach bug, is it?? Is this what food poisoning looks like?? At this point he’s ghost-white, rail thin, cracked lips and so weak that he can’t walk on his own. I carry him to the car, carry him into an urgent care where they tell me they can’t help, back to the car and off to the ER we go. Sunday, March 16th 8:55am – How did I get here so fast? I honestly don’t remember any red lights, stop signs or whether or not there were any other cars on the road. It was like God paved the way for me to make a b-line straight to Baylor Grapevine’s ER. The only memory I have is my son being in pain, looking the furthest from a normal twelve year old boy, and me having no clue how to help him – but I knew where there were medical professionals that could help him and the faster I got him there the faster my son would feel relief. 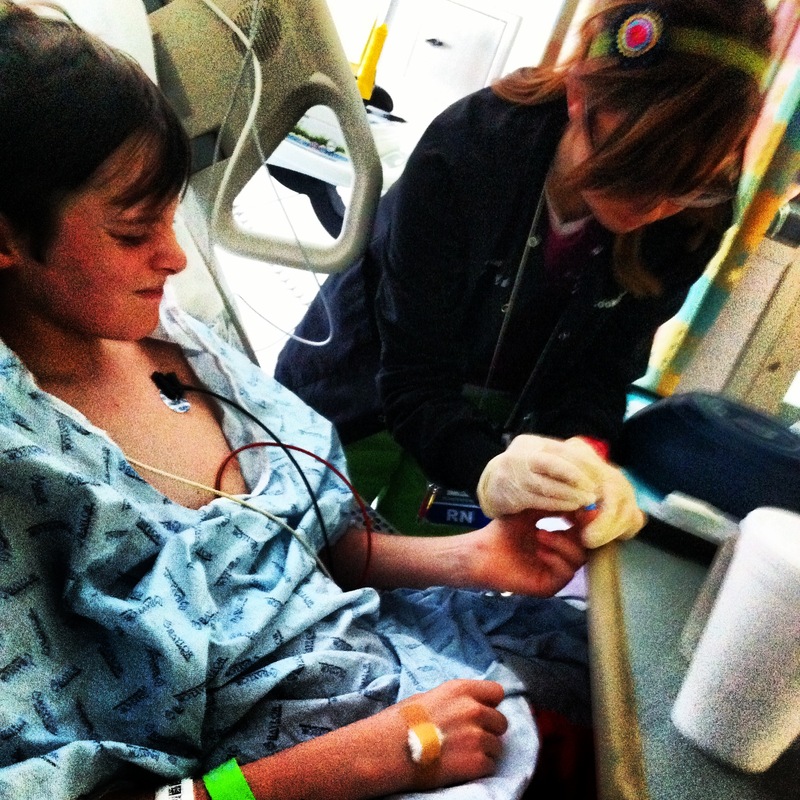 My son’s ER room was shoulder-to-shoulder with doctors, nurses, paramedics, and other important looking people in lab coats each looking at my son, his chart, the monitor, the saline drip, and some other unidentifiable equipment he was hooked up to. Honestly, I thought they were being a little overzealous for flu, stomach bug, or food poisoning treatment. Then, the room became eerily calm and quiet as each of the medical professionals filed out one by one. 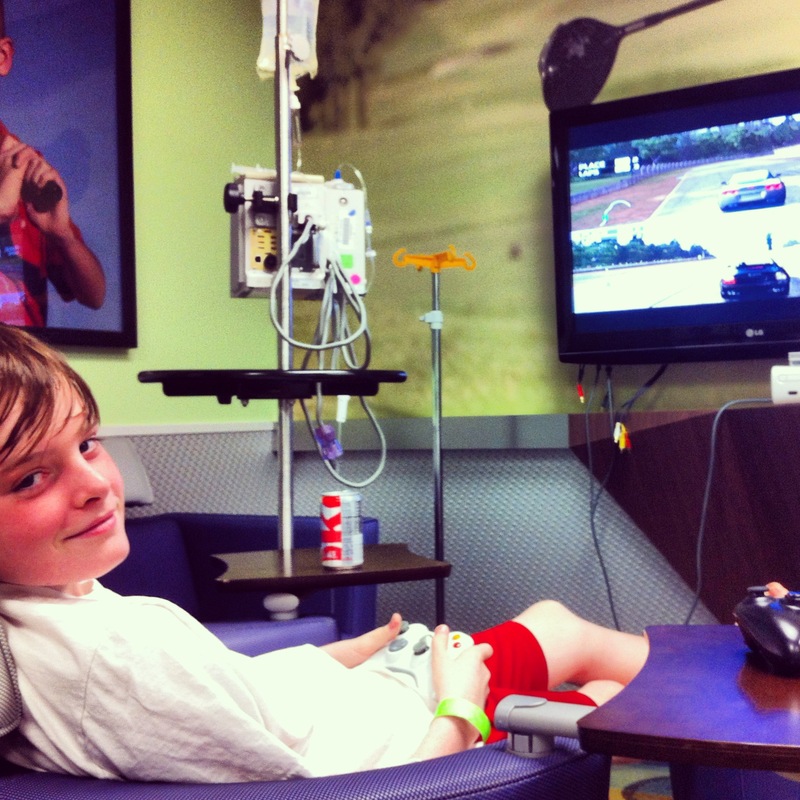 My son’s room was now empty, just the sound of the machines and the saline drip he was hooked up to. And there I sat, powerless, next to my boy who lay unconscious, innocent, helpless. Me. My son. And God. The ER doctor walks in with a very serious, concerned look on his face and says he needs to tell me about my son. I very quickly learned that sugar-coating is not part of the med school curriculum – justifiably so, I suppose. He asks me if I knew my son was diabetic to which my response was simply the look of shock. He took the look of shock and confusion on my face as a no, and then proceeded. He referred to me as ‘dad’, told me my son has Type 1 Diabetes, his blood sugar level is 547 (normal is 80-100), his body’s in a state known as Diabetic Ketoacidosis (DKA), and explained that the swelling of his brain AND the possibility of slipping into a diabetic coma are risks they are evaluating. He reassured me that, although my son is in a serious condition, they will do everything they can to mitigate those risks. Dad’s in shock (the nurse whispered). After nodding my head, indicating I was ok, they left me alone with my son. I remember talking to him, but he wasn’t responding. I remember holding his hand and rubbing his arm telling him he was going to be ok, reassuring him that I was going to be there for him. That’s when the room began to close in on me. My peripheral was quickly closing in. Sunday, March 16th 9:55am – Why’s the Dad on the Floor? “Why’s the Dad on the floor?” asks a nurse. I remember coming to my senses after hearing that and finding myself lying face down on the hospital floor next to my son’s bed. The nurse aseds me if I need assistance as I clumsily climbed back up into the chair and shrugged him off. It was at that point that the reality of my son’s condition began to take form and sink in. I was powerless. My son’s life was in God’s hands and the medical professionals He was working through – I could do absolutely nothing for him. The nurse tells me my son will be transported to Cook Childrens Hospital in Fort Worth and that an ambulance team will arrive shortly. He wasn’t able to tell me whether or not my son’s condition was improving. Although, after getting pumped full of fluids he began showing signs of life. I was ecstatic! He looked over at me and held my hand and said thank you. 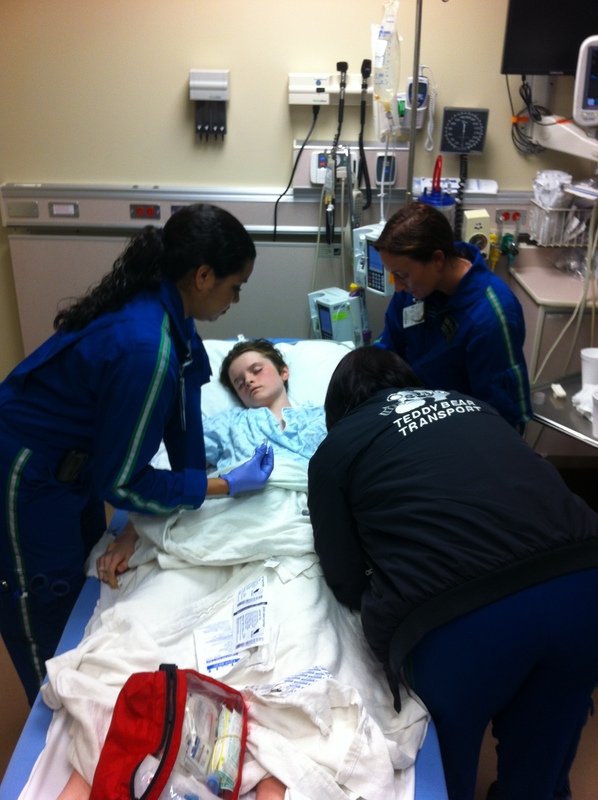 The nurse asked him if he knew I passed out and Jackson said he remembered feeling my head hit the side of his bed….and then he smiled. That was the only medicine this dad needed. I cannot put into words the feeling of gratitude I experienced when he muttered those simple words followed up with a smile. Soon thereafter my son and I took an ambulance ride together to Cook Childrens where they immediately admitted him to ICU for further monitoring. Hi glucose levels were still in the 400’s (normal is 80-100). The nurse on duty tells me, in not so many words, that my son’s not completely out of the woods yet, but that he should come out ok.
Monday morning my son is looking SO MUCH better. Color appears to be working its way back into his little body, his lips don’t appear to be on the verge of cracking and splitting off, and the circles under his eyes are almost unnoticeable. For the last 24 hours (and for the next 24) the nurse checks his blood sugar level every two hours (finger prick!) and the ‘blood’ doctor checks his ketones (acid) levels in his blood every hour. 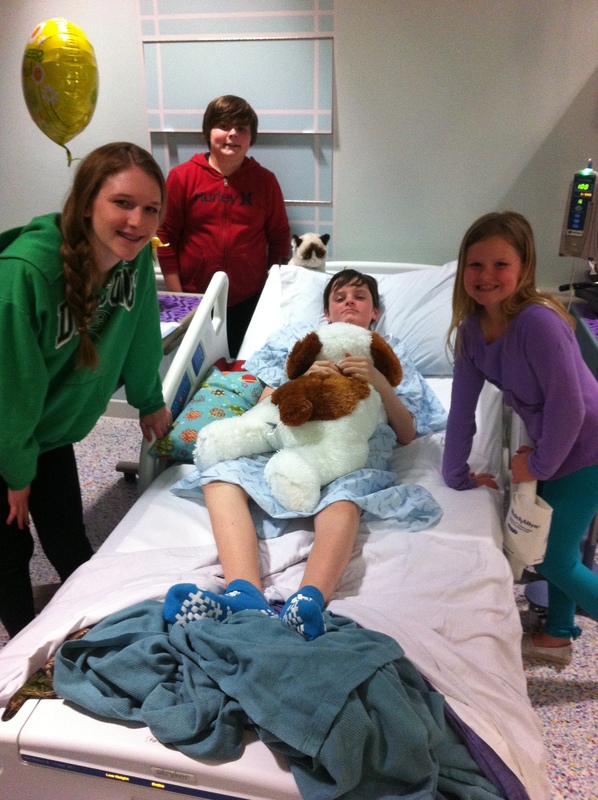 Our friends and family showered my son with love and prayers. My step-mother said it best when she said God was being bombarded today. I searched and searched for answers. I asked God if I could trade places with my son. I asked him WHY. I sat quietly, in tears, listening for, hoping for some kind of an answer. And He sent me one. It was clear as day. As I laid there with my little dude in his hospital room late Monday evening I shared the vision that God placed on my heart for him. You see, my son is a conqueror, an overcomer, a leader, and a teacher with a HUGE heart for others. God has a very special, very important job for him – Jackson will be THE Lighthouse to other kiddos who are faced with life’s darkness. After several educational meetings with nurses, doctors, nutritionist, and counselors the hospital gave us clearance to bring Jackson home. This is quite surprising due to the fact that I was told Sunday morning that he’d probably be in the hospital through Thursday. Praise God for the resiliency of kids. On the way home I stopped by the pharmacy to pick up a ‘few’ things. By the way I think I will now need more storage space at home! Syringes, insulin bottles (2 types, to boot! ), alcohol swabs, glucometer (that little meter gadget that measures your blood sugar level), test strips, lancets (the ‘finger pricker’), needles for the lancet (those need to be changed daily), the glucagon, meter logs for recording doses, and the list goes on. Rapid weight loss – 1 ½ years prior to Saturday March 15th my son dropped 19 pounds over the summer. He also shot up a few inches, therefore I figured it was just a growth spurt and he lost some baby chub. The signs are there. Thirst and/or a very dry mouth – for the better part of a year my son had a very dry mouth. I was constantly putting chapstick on his lips and he seemed to drink quite a bit. The signs are there. Frequent urination – I didn’t notice this until a few weeks before that dreadful Saturday. 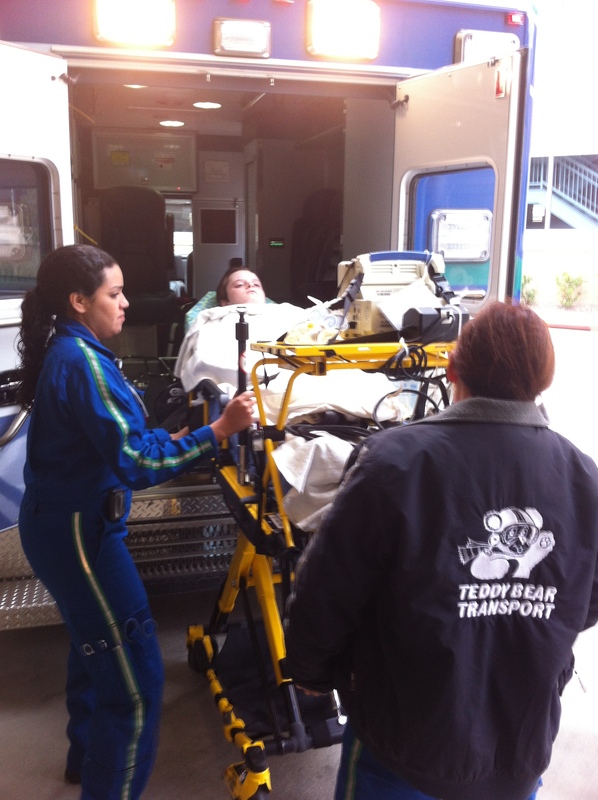 Lethargic or unmotivated – it was tough to get him up and going. He’d rather lay around instead of head to the lake or the park or anywhere other than the house. The signs are there. Abdominal pain – he’d been complaining about stomach aches for about a week, off and on. Fruity odor on the breath – this is the one that got me. Thinking back I remember him having this fruity, very distinct odor emanating from his mouth. I remember an instance about 2 weeks prior to that dreadful Saturday where he and I were talking and I told him to brush his teeth. I had no clue. The signs are there. Thanks for the share..DH. Hope he is doing better. Kinda brought a tear, tough when you cant fix your kiddos problems. PreviousUSDA Zero Down Payment Home Loans!